There are cruises that forever change the way you think about the world, because they evoke strong emotions, they are rich in sensory experiences, and full of extraordinary encounters. The mythological white continent, which has long been a ghost on the world׳s tourism map, now reveals to us its spectacular landscape: a supernatural polar desert made of ice and water, an enormous ice universe disguising vibrant colors, with white and blue creating a delicate combination within it and nature that recalls its primacy and its ownership in our world.This is an unforgettable trip for travelers with an appetite for adventure, a desire for wonderful landscapes, a yearning for natural phenomena and a desire for knowledge –all of it while cruising in a relaxing and tranquil manner. 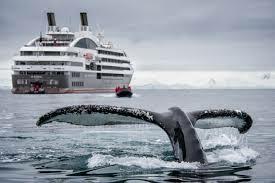 Day 1: Thursday 27/12/2018: Ushuaia - the luxury expedition ship SEA SPIRIT. 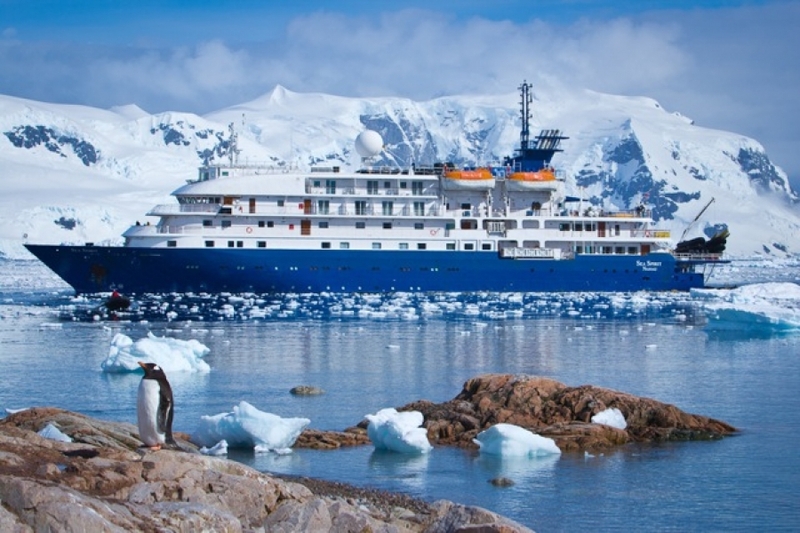 Today we will travel to the port and board the magnificent cruise liner SEA SPIRIT on its way to Antarctica. Welcome aboard the luxury expedition ship M/V Sea Spirit. Explore the ship and get comfortable in your home away from home for the extraordinary adventure to come. Savor the anticipation of your Antarctic dreams coming true as we slip our moorings and sail toward a true wilderness where wildlife abounds. The scenery as we sail through the Beagle Channel on our first evening is wonderful and there is already the possibility of marine mammal encounters. Day 2-3 Friday - Shabbat 28-29/12/2018: At Sea - Across the Drake Passage. After transiting the Beagle Channel and passing the islands of Tierra del Fuego, we head south across the Drake Passage. Pelagic seabirds including the majestic albatross are common in these waters and can readily be viewed from panoramic open decks or from exterior stateroom windows and balconies. On the way we cross the Antarctic Convergence, the biological boundary of the Southern Ocean. The ship’s stabilizing fins provide comfort in the event of rough seas. 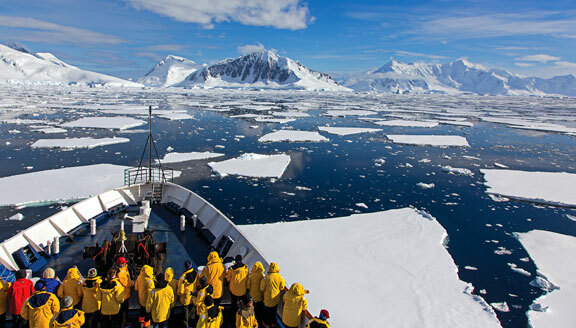 Briefings, orientations, and lectures from our expert staff prepare you for our arrival in Antarctica. 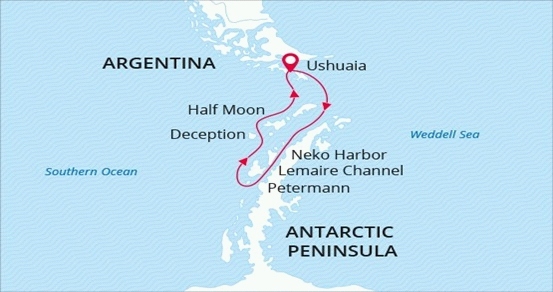 Day 4-8 Sunday - Thursday 30/12-3/1/2019: South Shetland Islands and the Antarctic Peninsula. This is expedition cruising at its most authentic. Our route and exploration opportunities in Antarctica are heavily dependent on weather and ice conditions. Our experienced captain and expedition leader decide the itinerary and continually adjust plans as conditions and opportunities warrant. 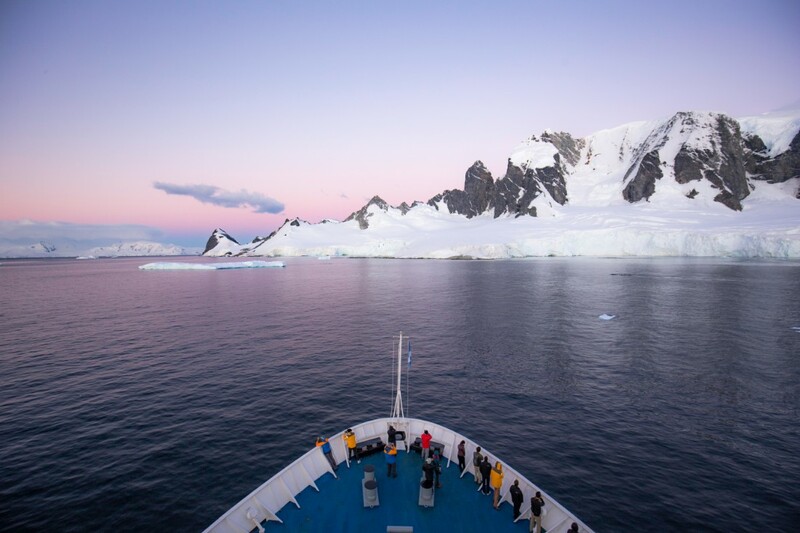 We take advantage of long daylight hours to exploit every opportunity to experience excellent wildlife viewing, amazing scenery, and excursions via Zodiac.The Antarctic Peninsula region contains some of the world’s most impressive scenery and some of Antarctica’s best wildlife viewing opportunities. Protected bays and narrow channels are surrounded by towering mountain peaks covered in permanent snow and immense glaciers. Icebergs of every size and description complete an image of incomparable beauty. Waters rich with krill are home to a variety of whale and seal species. The whole area is alive with penguins foraging at sea and forming large nesting colonies at special places on land. 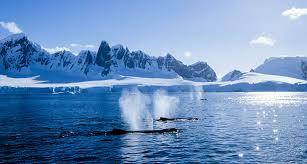 The area is also home to Antarctic research stations of various nationalities. Some stations have a gift shop and post office. The South Shetland Islands are the northernmost islands in Antarctica and will likely be our first sighting of land. This wild and beautiful island chain contains numerous landing sites with abundant wildlife and historical significance. Among them is Deception Island, where the flooded caldera of an active volcano harbors an abandoned whaling station.Farther south, on the Antarctic Peninsula, the vast Gerlache Strait area contains sheltered bays, accessible wildlife, and stunning scenery. Places with names like Paradise Bay are the epitome of everything Antarctic: glaciated mountains, towering icebergs, feeding whales, seals on ice floes, and bustling penguin colonies.At the southern end of Gerlache Strait is the famous Lemaire Channel, also known as Kodak Gap because of the photogenic way the mountainous sides of the narrow channel are reflected in calm waters strewn with icebergs.Our days in Antarctica are filled with memorable excursions, sumptuous kosher meals, presentations by our experts, and enough incredible scenery and wildlife to fill your camera and overwhelm your emotions. Day 9-10 Friday - Shabbat 4-5/1/2019: Back across the Drake Passage. 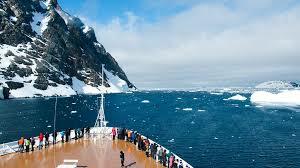 After our amazing time in Antarctica we cross back north through the bountiful waters of the Drake Passage. Presentations and workshops by our expert staff, as well as our range of onboard recreation facilities, ensure that these days at sea are not idly spent. This is also the time for our End of Voyage ceremonies including slideshow and farewell dinner. Day 11: Sunday 6/1/2019 Ushuaia –Back home. Today we dock in Ushuaia and the end of our incredible Antarctic cruise. We׳ll transfer to the airport and fly back home. Tour Start Date: December 27, 2018 - Tour End Date: January 6, 2019. Price per person in twin room for land only (Main Deck Suite): 13,195 USD. Price per person in twin room for land only (Classic Suite): 14,095 USD. Price per person in twin room for land only (Superior Suite): 14,295 USD. Price per person in twin room for land only (DLX Suite): 15,995 USD. Tip for guide (Recommended: 5 USD per person per day). Deposit, Cancellation Fees and Policy: A 750 USD Deposit per person must be received at the time of booking in order to confirm your reservation. Payment in full will be on 1 Sep 2018. A minimum number of participants are required to operate tour dates. If a minimum number has not been reached prior to tour departure and the tour is cancelled you will receive a FULL refund. Till 121 days before departure bookings are refundable less a 750 USD administration fee. 120-91 days prior to departure: 20% of total. Less than 90 working days prior to departure: 100% of total - no refund. Working days: Monday till Thursday. Non working days: Friday till Sunday, Jewish holidays.We strongly recommend purchasing Travel Insurance.